The Rockefellers manipulate America’s wealth through the Federal Reserve Bank. Are they manipulating your health through vaccines? You be the judge. Reservations are setting in. You remember a fellow mother who has an injured child following their vaccinations. “Will this vaccine harm my child?” you contemplate. Your family doesn’t get the flu vaccine because your family eats relatively healthfully. You are second-guessing yourself, justifying why you are at the doctor’s office. “But what about polio?” you say. You scan your brain quickly for an answer, “Vaccines eradicated polio, right?” Read on. The year 1952 marked the worst polio epidemic in the United States – ever. Thousands of children and adults contracted paralytic polio that year. Many died. America demanded swift answers. In response to the outcry, the National Foundation for Infantile Paralysis (NFIP) and March of Dimes launched a major public relations campaign. The answer was a vaccine. There was a problem with the approach, though. The vaccine was touted as the only answer to the “childhood crippler”. Put into perspective, their stance did make logical sense. Many scientists had worked on a polio vaccine for more than fifteen years with no fruitful solution. The secret may surprise you. In fact, if my hunches are correct, simply reading this article may change your idea about vaccines for the rest of your life. Here’s why. The most prominent public figures and scientists researching and developing the polio vaccine had one thing in common: The Rockefeller Institute. Before I tell you some of their names, it may be useful to know about the privately owned Federal Reserve Bank. Let me explain. Many people understand the Rockefellers, along with corporate interests, manipulate the United States money supply through the private Federal Reserve Bank. The scam “The Fed” uses goes by many names: Fractional Reserve Banking, The Fiat Money System or Ponzi Scheme. They print the money out of thin air that is then lent to banks on interest. The reason the scheme is so sinister is because there is no mathematical way to repay the loan. Some believe the Federal Reserve Bank scam is the Root Cause of our nation’s current financial ills. Where’s the connection between the Rockefeller Family, Federal Reserve Bank, and the polio vaccine? As I noted above, the common thread of this concept is financial influence through Rockefeller coffers. This influence directly extends to the National Foundation of Infantile Paralysis. It’s a plausible question. In retrospect many health problems have been attributed to the polio vaccine. For example, the cancer-causing Simian Virus 40 (SV40), made in part from ground up monkey kidneys, contaminated the original polio vaccine. Moreover, the polio vaccine manufactured by Cutter Laboratories and Wyeth was actually causing paralysis! Even the original cause of polio has been questioned. Documented evidence shows neurotoxic pesticides, such as DDT, sprayed on crops and livestock as a more likely cause of the polio epidemic. Even the vaccine literature states many things that could cause symptoms indistinguishable from polio. So where does knowing this information leave us? There is enough information available to conclude that scientific discoveries financially supported by the Rockefellers are used for the purpose of social control. You’re going to discover one of the ways the Rockefeller Institute “stacked the deck” in their favor. After this article, I provide a brief summary of major players on the polio scene. William Welch, Simon Flexner, Karl Landsteiner, Tom Rivers, Thomas Francis, Henry Kumm, Jonas Salk, Albert Sabin, Hilary Koprowski, and Oveta Culp Hobby were all tied to the Rockefellers in some fashion. As you begin to consider the summaries as a whole, it will radically change your perspective on vaccines and their purpose. Finally, you will know the great depths of the Rockefeller Institution’s involvement pushing through a vaccine as the only answer to the false-flag polio epidemic. Welch had an archived photo at the American Philosophical Society’s website, since taken down. The label appeared to infer Welch was involved in poliomyelitis research dating as early as 1887. Simon Flexner was able to adapt the polio virus to tissue in 1908, thus replicating the discoveries of Karl Landsteiner, the “discoverer of polio”. Historians note that research pertaining to poliomyelitis at the Rockefeller Institute required prior approval from Mr. Flexner himself. However, Karl Landsteiner is best known for discovering blood groups A, B, and O. Simon Flexner recruited Landsteiner for further research at the Rockefeller Institute. Shortly after the end of World War II, Francis helped establish the School of Public Health at the University of Michigan. Jonas Salk, the creator of the Inactivated Polio Vaccine, learned from Francis how to formulate vaccines. By today’s standard, Francis evaluating his student’s vaccine is a blatant and major conflict of interest. Why? If Salk’s vaccine proved to cause paralysis or cancer, which it did, it would reflect poorly upon Francis’ reputation. HeLa cells were mass produced by the National Foundation for Infantile Paralysis at the Tuskegee Institute and eventually contaminated cell lines used to produce the Salk vaccine. This brings us back to Francis. *Note: Vaccine inserts clearly state vaccines are not tested for causing cancer (carcinogenesis). Henry Kumm worked at the International Health Division of the Rockefeller Foundation for Medical Research in 1928. 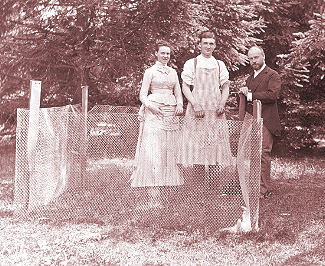 During the Second World War, Kumm experimented with larvicides containing DDT, a known neurotoxin often related to polio-like symptoms, to control the spread of malaria in Italy. The pesticide DDT is often implicated as a likely cause of the polio epidemic in the 1950s. As touched upon in the article, livestock and crops were heavily sprayed with DDT in the 1950s. The larger vaccine trials were deemed a “success” by Thomas Francis after testing the vaccine on millions of school children. Afterward, Salk was proclaimed a National Hero through a carefully planned public relations campaign sponsored by Eli Lilly and Company, a research / pharmaceutical company founded in May 1876 by Colonel Eli Lilly. Both Albert Sabin and Jonas Salk were members of the National Foundation of Infantile Paralysis Committee on Virus Research. The Sabin and Salk feud appears to be a false “left/right” paradigm solution as the vaccine schedule shifts from the Salk vaccine to the Sabin vaccine several times. Sabin served on the Scientific Board for the National Foundation for Infantile Paralysis. One last interesting fact about Albert Sabin; is that his cousin was Saul Krugman. Krugman developed the Hepatitis B vaccine by experimenting on children at the infamous Willowbrook State Institution. The influence of her former top aide, Nelson A. Rockefeller, to make such a hasty decision is unknown. Fleming, D. (1954). William H. Welch and the Rise of Modern Medicine ( pp. 157-158). Boston: Little, Brown and Company. Black, E. (2003). War Against the Weak (pp. 89). New York: Four Walls Eight Windows. Langland, J. (1911). Chicago Daily News Almanac Year Book for 1912 (pp. 127). The Dallas News Company. Offit, P. (2005). The Cutter Incident: How America’s First Polio Vaccine Led to the Growing Vaccine Crisis (pp. 16). New Haven and London: Yale University Press. Wilson, D. (2009). Polio (pp. 152). Greenwood Publishing Group. T. Francis, Jr., et al., Evaluation of the 1954 Field Trial of Poliomyelitis Vaccine; Final Report (Ann Arbor, Mich., Edwards Brothers, Inc., 1957), p. xxvii. Enders, J. Papers and Discussions Presented at the Third International Poliomyelitis Conference: Developments in Tissue Culture., (pp. 221). Philadelphia: J.B. Lippincott Company. Brown, R., et. al. The Mass Production and Distribution of HeLa Cells at Tuskegee Institute, 1953-55. J Hist Med Allied Sci.1983; 38: 415-431. Nelson-Rees, W.A. Responsibility for truth in research. Philos Trans R Soc Lond B Biol Sci. 2001 June 29; 356(1410): 849-851. Snowden, F.M. (2006). The Conquest of Malaria: Italy, 1900-1962, (pp. 200). Frederick W. Hilles Publication Fund of Yale University. Offit, P. (2005). The Cutter Incident: How America’s First Polio Vaccine Led to the Growing Vaccine Crisis (pp. 35). New Haven and London: Yale University Press. Dangerous Virus: Albert Sabin, testifying at hearings before the Committee on Interstate and Foreign Commerce, House of Representatives, Eighty-Fourth Congress, First Session, May 27, 1955. Oshinsky, D.M. (2005). Polio: An American Story (pp. 245). Oxford: Oxford University Press. Langmuir, A. Report of Special Advisory Committee on Oral Poliomyelitis Vaccines to the Surgeon General of Public Health Service. JAMA.Â 1964;190(1):49-51. Henderson, D.A., et. al. Paralytic Disease Associated With Oral Polio Vaccines. JAMA.Â 1964;190(1):41-48. Offit, P. (2005). The Cutter Incident: How America’s First Polio Vaccine Led to the Growing Vaccine Crisis (pp. 37). New Haven and London: Yale University Press. Oshinsky, D.M. (2005). Polio: An American Story (pp. 135). Oxford: Oxford University Press. Hooper, E. Experimental oral polio vaccines and acquired immune deficiency syndrome. Philos Trans R Soc Lond B Biol Sci. 2001 Jun 29;356(1410):803-14. Offit, P. (2005). The Cutter Incident: How America’s First Polio Vaccine Led to the Growing Vaccine Crisis (pp. 61-63). New Haven and London: Yale University Press.